Are New Year's Resolutions Really Worth The Trouble? Time flies doesn't it? This has been a really hectic year at Muovo. Oh, and we have been through the end of the world...rather flawlessly! 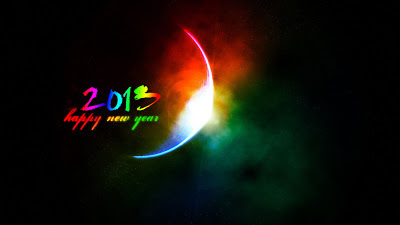 We are looking forward to the coming New Year 2013! With the end of the year so close by, most of us are likely to bring their reflection caps on and look back on what they have done (and haven't done) during the past year. Many of us will end up wondering on how to resolve those issues that we haven't changed throughout the year: oh, the New Year's resolutions. But are they really worth all the effort? Or do they serve to help set a positive attitude, filled with determination, ambition, and willingness for success? Well, probably it's a combination of both! Muovo would like to share with you Simply Scott's views regarding the many resolutions that we might be doing for the New Year. In his opinion, these resolutions are rather flawed and frivolous which is why they tend to fail. It’s the holiday season! Are you still looking for that job you have been dreaming about for ages? Were you thinking about putting your job search on hold till the end of the holidays? If so, you should really think twice! Contrary to popular opinion, the holiday season is really a good time of year to find a job. Muovo would like to share with you Alison Doyle’s article located at, About.com, where she explains why you should continue your job search even during the holidays. After all, employers are not likely to stop hiring just because it's the holidays. Harshbarger further explains that at many companies, hiring and personnel activities continue all year round, because the needs that drive hiring mainly competitive pressures, growing markets, strategic initiatives, don't take a break. Harshbarger adds, ‘Hiring during the holidays is sometimes complicated because key decision makers are absent. In the case of hiring, arguably the most important decision companies make, it is common for key individuals to interrupt their vacations (where feasible) to meet with short listed candidates. In all cases, we understand that to meet our goals in the New Year, it is critical that we stay focused on our staffing plans even as we turn our gaze homeward’. Doyle tells us that employers carry on focusing on hiring, even though there is a temptation to do otherwise. The same should hold true for job seekers. It can be easier to say, ‘I'm not going to bother, it's a bad time of year for job hunting’, than it is to move forward with a job search. However, for those who do keep on going, the additional opportunities are worth the effort. Some people give up job searching between Christmas and New Year. Do not be one of them. Employers are still hiring and there may be less competition from other job seekers at this time of year. In addition, companies that budget on an annual basis may have jobs that they need to hire for now. 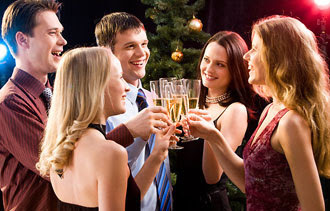 If you are attending a holiday social event, it is definitely appropriate to mention that you are job searching. Accept all the invitations you receive, both personal and professional. You never know who may be able to help. Friends and family, as well as business acquaintances are typically more than happy to assist. During this time of year, it is important to take some time for yourself and your family. Do relax and enjoy the holiday season. After all, it only comes once a year! 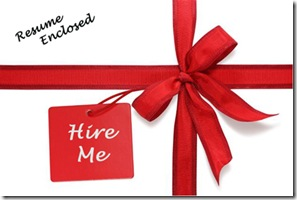 Give yourself the best gift this Christmas - a better job. Surely, most of you will be looking forward to spending some quality time with your family and friends, or simply, just relaxing at home. After all, don’t you need that well-deserved break? Undoubtedly so! There are yet so many great opportunities that could strengthen your professional network, which you might be missing out on if you don’t attempt to stay on track over the holidays. The following are some tips that Muovo would like to share with you as to how you should spend your holidays. Although e-mails are now highly popular and used by almost every individual on earth, a hand-written card can really stand out. Not only does it make the recipient feel valued and cared for, but you will also be solidifying a connection that could bring you opportunities in the future. Of course, the idea behind a card is to show that you are really thinking of that person – which is what you should really be doing - and not just seeing it as a means to an end! 2) Get ready to party! Social gatherings are a great way to make new connections and expand your circle. Keep some business cards at hand and make sure you get them out at the right time, and distribute them to the right people. 3) Throw your own party. If you are financially stable enough to host a Holiday gathering, be it a dinner, party, reception or whatever you feel like doing, do it this Christmas. Make all your guests feel cherished and try to include business and social guests for your party. Don’t go overboard with the plum pudding and drinking. Keep yourself fit and follow a healthy lifestyle as otherwise you might hinder yourself from getting back on track – happily. 5) Thank your guests or hosts. Always send an email or a note to thank your guests or your hosts after a social contact. If you have spoken to someone during the gathering who has offered some advice, thank them him or her for their mentoring, guidance or suggestions. Perhaps you could try to schedule a lunch or drink to thank them and continue the conversation. And finally...don’t forget to have fun! Although this time of year can be socially, emotionally and financially challenging, don’t let this dampen your Christmas spirit. Your Career Race - Run! 'Career race' is not a sprint. It is, really, a marathon. Many people get tired throughout the race and sadly, they never get to reach their full potential. In our ‘career race’, we have to stay focused on finishing the course. You cannot waste time looking back or watching the competition. People tend to waste time thinking about what could have happened or dwell on the past. The secret is to let it go – focus instead on continuing your race. Muovo would like to share with you the following article, first published by Recruiter.com. In this article, Caroline Knight gives the following tips on how you should run your ‘career race’ to success. 1. Perform at your highest level. Strive to do your best regardless of the circumstances of the situation. Stand out and be one of the engaged employees. Endure till the end! 2. Define what the end of your 'career race' is. The end of your race could be defined as retirement at 55, promotion to director, manager, vice president, or chief executive officer? Only you can define the finish line of your “career race”, and of course, it may change as time goes on. There will be numerous distractions including life changes, possible downsizing, denied promotions, and so on. Prepare to overcome them. Keep your mind on the finish line and give it your all. Remember circumstances can alternate the speed at which you run but at all times give it your all. 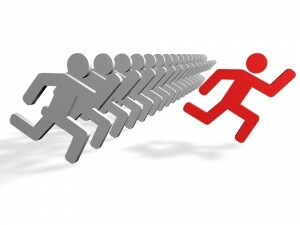 You must run your 'career race' as hard as you can or run the risk of being left behind. Although we are more than sure that as a job seeker, you are swamped by heaps of information regarding tips for job hunting - what you should do and what to avoid. However, Muovo has found the following five 'lesser' known tips that are bound to help you get ahead. We couldn't help not sharing them! 1) Identify what is unique and memorable about you. It is not enough to boast about your excellent qualifications and achievements. More than anything, you need something that makes you stand out...in a good way. Saying that you have reached a competitive level in an extra-curricular activity such as music or sport is definitely worth listening to. 2) Don't just research the industry you're targeting. Also look at the sector it sells to, better known as verticals. This means that if you are applying for a job at a marketing agency, you would increase your chances by familiarising yourself not only with the company but also with the company's verticals. 3) Don't dismiss a company for being too small. Smaller companies offer great opportunities for career progression. Start up companies may not be your ideal move for doubling your income, but they definitely offer good room for career progression. In a smaller company, you are likely to take on quite a handful of responsibilities, which all goes to make you all the more flexible. 4) Look for industries that are bucking the trend. Remember there are a multitude of positions that you can do in an industry. You could be an in-house lawyer, an engineer or HR advisor. LinkedIn is a good place to start. Always do a quick find out about your interviewers to get an idea of what their background is, what their interests are, and perhaps, you could also find some connections that you have in common (such as, a university or a course that you have both attended or a shared interest). Your First Day at Work...Should be Fun! Although it's the festive season, and many of us are up and about doing our Christmas shopping, some of us might be excited not only about the celebrations but more so on a new job they might be starting soon! It is undeniable that the first day of a new job can instill a whirlpool of emotions ranging from sheer excitement to downright nerve-wracking anxiety. 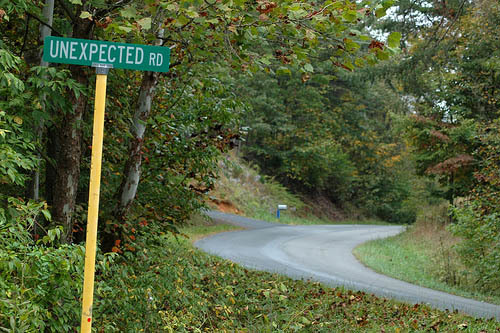 Anxiety is mainly derived from lack of control over the Unknown. The first day is usually the day we get to meet a whole team of new faces, trying to learn as many names as we could, get round to the office colleagues and atmosphere and so on. But, the big question remains, what does the boss expect from you on the first day? Luckily it's 'not as much as you think'. 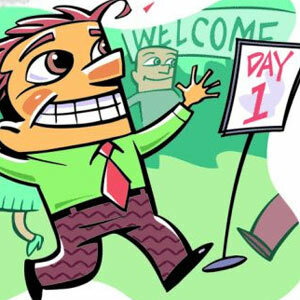 Day 1 expectations are usually low, although of course, you are expected to turn up on time and show that you're ready to learn the ropes...and quickly. Muovo would like to share with you the following article, first published by Recruiter.com, which offers some insightful tips on your expectations and what your behaviour should be like on your first day at a new job. Get ready to meet new people, experience a whole new work environment! Help yourself to make a good first impression among your new colleagues and employer(s). Even though the first-day expectations from aren't much, there are still some things that you should be wary of when entering your new workplace for the first time. Remember that the higher you build expectations about your productivity, the harder it is going to be (for you) to keep pace with yourself. Most people over perform during the first several weeks at a new job. This sprinting speedy gonzalez mentality will soon die down. In addition, by working harder than you are capable of maintaining, and building expectations that you can regularly perform at that level, your productivity will eventually slip below the high bar and you will be seen as less capable than when you actually started! Pace yourself. No one is running after you to meet deadlines (at least, not for the first week or two). Take time to adapt to the company. Don't worry if you make a mistake here and there. This is the time where you are actually expected, if not applauded, for making a mistake. Because this is the time to learn. In this way, you can improve your performance and pace, and hence appear even more impressive than your initial days - that is, if employers can see some form of progress. In reality, most employers expect only a handful of basic behaviors when you start your job (and for as long as you wish to remain employed), namely, to be punctual, to use your mistakes to grow instead of punishing yourself or others, to be honest, to keep an open mind, to be motivated, and to genuinely care about your job performance and the quality of your work. LinkedIn is by far the world’s largest professional network. It has over 187 million members and continues to grow rapidly. A LinkedIn profile is beneficial in many ways. First, it conveniently connects you to contacts with whom you can exchange ideas, sources, opportunities in view of a broader network of professionals. 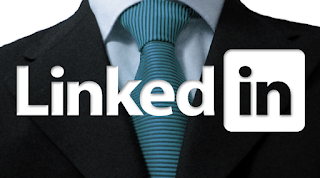 The short clip below gives an introduction to the several imperative uses of LinkedIn. As is evident, a LinkedIn profile helps you increase your visibility online, giving you the golden opportunity to showcase your talents, qualifications and experience online towards the right contacts and opportunities. This is why keeping your LinkedIn profile up-to-date is essential. Update your profile from time to time, adding on the latest information regarding work and or qualifications. Interestingly, it has been noted that with updated and complete profiles are 40 times more likely to receive opportunities through LinkedIn! However, keep in mind that your connections should represent your 'real world' network. When you have contacts that you do actually know, you can ask them for recommendations or introductions to jobs or opportunities that you are likely to be interested in. To facilitate the process of building your network, adding contacts you already know, start by using the address book importer where you can import your address book directly from web-based email clients like Gmail or Yahoo! Mail; otherwise, you can use the Outlook address book importer. You can also make use of the 'People You May Know' drop-down box, which, similar to Facebook gives you updates of contacts that LinkedIn has identified to be in your network. Update your LinkedIn profile and increase your job prospects! What Does What You Write Say About You? Technology has undeniably enhanced and facilitated communication over the last decade. The word 'facilitated' however can be taken to an extreme where candidates, sometimes, do not check their emails prior to sending it through to us, or even more so, to their employers. Muovo receives a lot of emails, resumes and cover letters every day. Some of these are littered with spelling and grammar mistakes, and sometimes, with incoherent or wrong personal information. As you might have already read from previous blogs, and as you may already know, an employer won't spend long on your CV or resume - this is why you should really strive to make that first, great impression. If you feel that you need someone else to check your spelling mistakes and other details, send it over to a proofreader who will look at it closely and meticulously and will make sure that your resume is completely error free and perfect. Every time you send over your resume to an employer, think of a teacher (a strict one) who will be grading and judging your CV on all aspects. Make sure, then, that it is at its most, the best you could give. 1) Check the email address you are sending to. Sometimes you may not hear from recruiters or employers because the email was never received. Double check your emails prior to sending. Check again after you have sent. Sometime you realise that you have made a mistake after you send your email! 2) Use the subject line. Although this may seem obvious, some people are still bound to leave the subject line of their emails vacant. Apart from looking unprofessional, mysterious, and therefore futile, a lot of email servers will classify an email with no subject line as SPAM and will hence not deliver it to the intended recipient. 3) Do you have the appropriate greeting? Does your email start with 'Dear Sir or Madam', or 'To Whom It May Concern', etc? 4) Don't forget the closing. 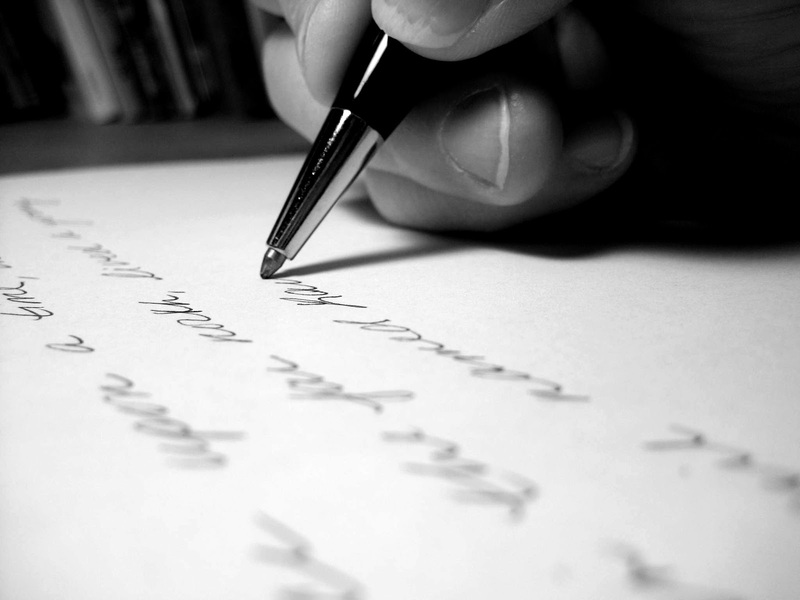 Write 'Regards', 'Yours sincerely' or 'Yours faithfully', etc. 5) Create an e-mail signature. This should include all your relevant contact information. Make it as easy as possible for people to get back to you. It is imperative that you check your writings for spelling mistakes and RE-READ it aloud to see how it would sound. This is all part of the recruiting process or email etiquette that will go to making you a true professional in your field. They say that silence is golden. And there are instances during the interview when this is, really, true. Muovo would like to share with you the article below, first published by CV Tips, which lists a couple of moments where you should keep silent! 1) While negotiating salary.This is such an important part of the interview and also one of the areas where most job hunters fail. First of all, don't bring up salary at all. Wait for the interviewer who will normally hint in that direction towards the end of the interview. Even if you are really tired of job hunting and desperate to get the job, don't tell them. Employers want people who are in demand; by telling them about your long job hunting process, you are saying that no-one else wanted you. So why should they hire you? Rather focus on the positive aspects of your current job or what you have been doing while you were out of a job. 3) Stay silent in the interview rather than asking about the work hours. You can ask what hours are expected from you, but don't mention that you want reasonable or flexi time. Rather have the interviewer provide information bout the hours. If the hours don't suit you at all, you can indicate so if you feel that taking the job with the particular hours is not worth the while. If you start demanding even before you are employed, the employer will be skeptical. 4) Stay silent in the interview about your personal information.Don't disclose your religion, sexual orientation and any specific beliefs. Although the law prohibits discrimination based on any of the above, there are ways for an employer to bypass the laws by stating you were not compatible with the company, or experience not relevant etc. Of course, make sure you come across as confident and able to talk about whatever the interviewer asks you. Don't let them think that your secretive nature is due to some skeletons in your closet! Remember - Balance is key.